A field of nine has been drawn for the 24th running of the Grade III $500,000-guaranteed Indiana Derby Saturday at Indiana Grand. The race, slated as the ninth on the 10-race card, will have an estimated post time of 9:48 p.m. ET. 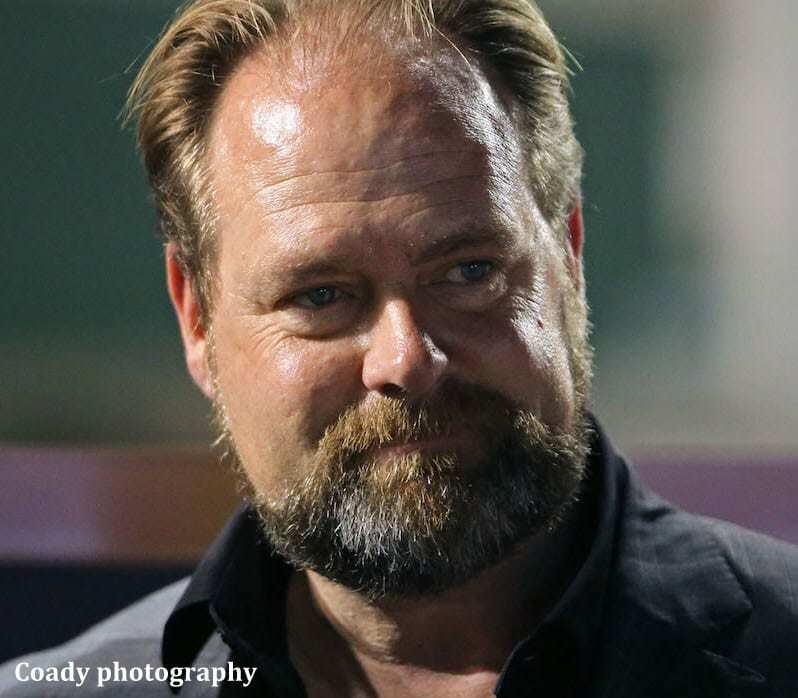 The first race post is 5:30 p.m.
King Zachary comes into the race off an impressive four-plus length win in the Grade 3, $100,000 Matt Winn Stakes at Churchill Downs in mid-June. The flashy chestnut son of Curlin had a late start to his racing career, finishing third in his only start at 2 last fall at Churchill Downs. Since that time, he has progressively showed his talents on the track and is currently three for six in his career with only one start finishing off the board. A $550,000 yearling purchase by longtime Louisville resident Tom Conway, King Zachary will begin from post eight as the favorite at odds of 6-5. Robby Albarado, a three-time Indiana Derby winning jockey, has ridden King Zachary in all of his career starts and will be aboard again for the Indiana Derby. Joining King Zachary as a horse to watch in the Indiana Derby is Axelrod from the Michael McCarthy stable. The California-based son of Warrior's Reward finished second in his last start at Santa Anita in the Grade 3, $100,000 Affirmed Stakes. He will make his first start outside of the state of California in the Indiana Derby and will be joined by jockey Florent Geroux for the first time in his career. They begin from post six at odds of 5-1 for Slam Dunk Racing. Last year's Indiana Derby winning combination of trainer Doug O'Neill and owner Reddam Racing will look to retain the title they secured with Irap in the 2017 Indiana Derby. Blame The Rider, who flew into Lexington Tuesday and was vanned up to Indiana Grand, will look for his third win of 2018 from the inside post two. The Jimmy Creed colt was a winner two starts back in the $100,000 Singletary Stakes at Santa Anita on the turf before returning for a second place finish in the $100,000 Rainbow Stakes, also on the turf at Santa Anita. Blame The Rider will pick up the services of Julien Leparoux, 2011 winner of the Indiana Derby aboard Wilburn. It will be the French born jockey's first time aboard Blame The Rider, who is the third choice on the morning line at odds of 6-1. Joining Blame The Rider on the plane ride to the Midwest is Dark Vader from the Peter Eurton barn. The Tale of Ekati blazed-faced colt just missed the win in his last start, finishing a neck back in third in the $150,000 Easy Goer Stakes on the undercard of the Belmont Stakes. Dark Vader begins from post four as the fourth choice in the field with Corey Nakatani coming into ride at odds of 8-1. Eurton was referring to the third trip to race in the Eastern Time zone from his home base in Southern California. Indiana Grand will be the seventh track that Dark Vader has competed on in his eight-race career. The entire Indiana Derby field, with jockey and odds in post position order, includes: Trigger Warning (Irwin Rosendo, 8-1); Blame The Rider (Julien Leparoux, 6-1); Givemeaminit (Marcelino Pedroza Jr., 20-1); Dark Vader (Corey Nakatani, 8-1); The Money Dance (Jesus Castanon, 20-1); Axelrod (Florent Geroux, 5-1); Title Ready (Ricardo Santana Jr. 12-1); King Zachary (Robby Albarado, 6-5); and Funny Duck (Brian Hernandez Jr., 10-1). The Indiana Derby Night racing program features a total of six stakes races with purses in excess of $1.1 million. Joining the Indiana Derby on the card is the 23rd running of the Grade 3, $200,000-guaranteed Indiana Oaks, which is the eighth race on the program with an estimated post time of 9:01 p.m. Talk Veuve To Me heads a nice field of eight 3-year-old fillies and will be ridden by Leparoux from post five. Other stakes on the card include the $100,000 Mari Hulman George Stakes (Listed), the $100,000 Michael G. Schaefer Memorial Stakes (Listed) the $100,000 Indiana General Assembly Distaff Stakes (Listed) on the turf, and the $100,000 Warrior Veterans Stakes (Listed), also on the turf. The evening will also include a special Pick 4 wager. The All-Stakes Pick 4 begins in race six and will conclude with the Indiana Derby race in the ninth. The 16th season of Thoroughbred and Quarter Horse racing continues through Wednesday, Nov. 7. Racing is conducted Tuesday, Wednesday and Friday at 2:05 p.m. EST with Saturday racing beginning at 6:05 p.m. EST. Thursday racing will be held July 19 and Sept. 6 at 2:05 p.m. EST. This entry was posted in Racing and tagged axelrod, blame the rider, dark vader, Indiana Derby, Indiana Grand, king zachary by Jennie Rees and Tammy Knox. Bookmark the permalink.